Our first ever Awards evening took place in October, celebrating the very best of Mencap Liverpool, from our wonderful members, to our volunteers and Corporate Supporters. 125 crammed into The Isla Gladstone Conservatory in the city to see who would be crowned our winners. Entertainment was provided by MD Productions, Stephanie Guidera and our Liverpool Idol 2017 winner Nicole Richardson. An amazing £6,446.58 was raised from the night. 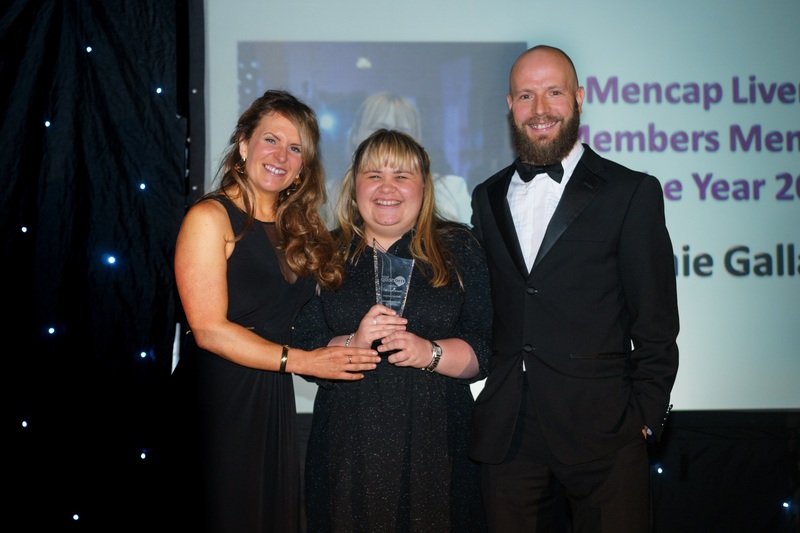 Member Sophie Gallagher was named ‘Members Member of the Year’- our most prestigious award. We hope you can join us in November for our second Awards Evening!